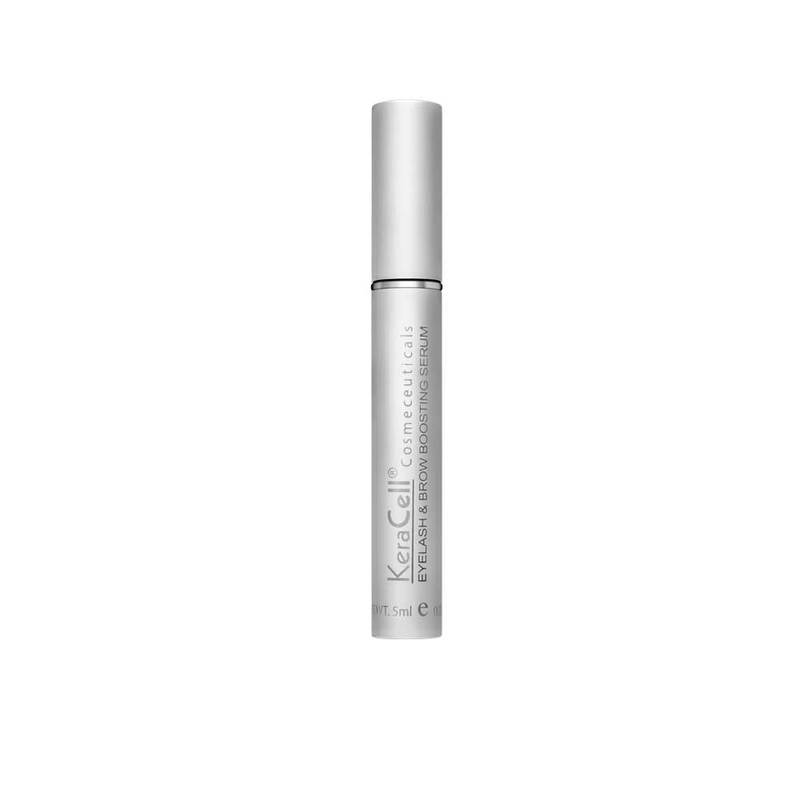 KERACELL® Eyelash & Brow Boosting Serum with SymPeptide® XLash 3D Lash Enhancer and human stem cell extract enhances the appearance of eyelash length and thickness and improves eyelash density in as little as two weeks of daily use. After four weeks, the improvement in length, darkness and volume is up to 66%. Super fruit extracts, Panthenol (Pro-Vitamin B5) and Malachite Extract help to stimulate new hair growth and protect against hair loss. This prostaglandin free formula will not cause iris or eyelid darkening. Water/Aqua, Myristoyl Pentapeptide-17, Glycerin, Human Stromal Cell Derived Conditioned Media, Lycium barbarum (Gogi) Berry Extract, Mangostana Garcinia (Mangosteen) Fruit Extract, Euterpe Oleracea (Acai) Berry Extract, Morinda Citrifolia (Noni) Fruit Extract, Hydroxyethylcellulose, Sodium Hyaluronate, Panthenol (Pro-Vitamin B5), Malachite Extract, Phenoxyethanol, Ethylhexylglycerin. Before applying KERACELL® Eyelash & Brow Boosting Serum, remove eye makeup and contact lenses, if worn. Apply product directly to both upper & lower lash lines and eyebrows. Let the serum absorb completely before applying makeup. For best results, use twice daily. CAUTION: Discontinue use if irritation occurs. If irritation persists, consult with your physician or ophthalmologist.